The Inverell Town Hall is located on the corner of Otho and Evans Street, Inverell. On-street parking is available on Evans street or in Turnham Carpark which is located on the corner of Campbell and Evans street (adjacent to Town Hall). Turnham Carpark is an all-day free parking zone. 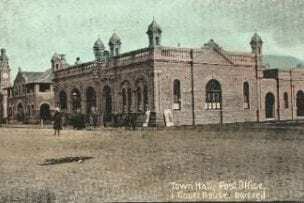 The Inverell Town Hall opened was in 1905. For decades, residents had waited for such a public hall and they celebrated in style with an official dinner, concert, and ball. This grand building, with elaborate Victorian architectural features, was designed by Gordon McKinnon. Local brick maker George Nott built the hall close to the site of the original 1868 Town Hall. The area now known as the annex became the headquarters of Inverell Municipal Council and there was space for a tiny public library. Visiting public entertainment took place nearly every week in the Town Hall’s early years. Several Governors, Prime Ministers, and other prominent people have attended meetings or functions here. Nationally renowned performers and hundreds of other local people of all ages have participated in concerts, eisteddfods, and plays. The Hall has also been used as a cinema, polling place, boxing venue, school speech nights, flower shows, balls, and opera. Thousands of dollars have been raised by service clubs through functions held in the hall, all for the benefit of our community. 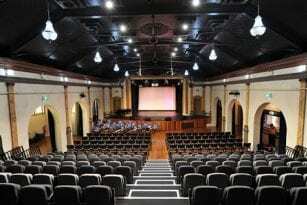 The Inverell Town Hall is Inverell’s Premier Cultural and Performance Theatre/Venue. It is available for hire, subject to Council’s approval. Information such as fees, conditions and facilities can be found here. Cultural Events and Performances, Meetings, Conferences, Musicals and other low-risk events as determined by Council can be held at the Hall. 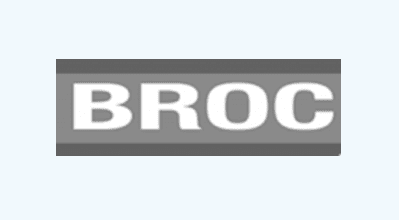 View the upcoming events here and find something you might be interested in! 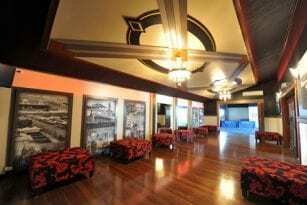 Also as part of the redevelopment of the Hall, six beautiful chandeliers that were originally from Inverell’s former Capitol Theatre were installed in the Hall and the 1930’s art-deco style was retained and enhanced in the foyer. A grand re-opening of the Town Hall was held on Saturday, 15 March 2014 with a Gala Broadway-themed formal black-tie affair which featured local talent during the first half of the program, followed by the multi award-winning musical theatre and cabaret performer Wayne Scott Kermond.